I may or may not have mentioned here previously about my love of winter. Chilly mornings, rugged up from the cold trying to work up a sweat on my morning walk. My breath coming out in foggy plumes. Long jackets, short jackets, colourful scarves wrapped twice around your neck for warmth. Boots come up to your knees and under those are thick dark leggings. After the long cools days, the evenings are spent enjoyed around a warm fire (or gas heater - ha!) a glass of red on the table and a bowl of comfort food. Yes, there's something about warm winter comfort food that is not enjoyed throughout the other seasons. The apple pies, homemade baked beans on toast , mustard crusted lamb racks on Sundays, warming pumpkin soups, spaghetti bolognese and this warming bean and chorizo soup. It's quick to throw together and we usually have all the ingredients in the pantry and fridge so it's easy to whip up on a weeknight when we haven't planned our dinners ahead. Plus, it makes a damn good leftover lunch, just pack it into a tupperware container warm at work and top with some grated parmesan. Hellooo work lunch! Heat a teaspoon of oil in a large pot, cook the onion until soft and translucent. Add in the garlic, celery and carrots and cook for one minute until fragrant. Add in the potato, tomatoes and stock. Cook covered for 20minutes. Uncover and add beans. Cook uncovered for 5minutes until warmed through and vegetables are cooked through. Meanwhilst fry the chopped chorizo in a dry pan over high heat until crispy. This will only take a minute. Pour the cooked chorizo and the juices into the soup. Taste and season with pepper to your liking. 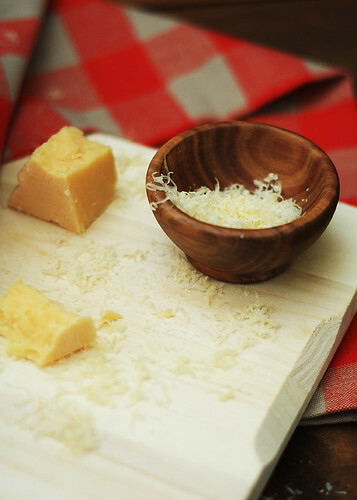 Serve immediately topped with freshly grated Parmesan. There are lots of options with this soup, add in a cup of frozen peas with the beans and a halful of chopped fresh parsley before serving, or use some sweet potato instead of the plain potato (it's lower GI too!). Heat the soup up with a spicy chorizo or a pinch or two of chilli flakes. This soup is easily made vegetarian if you don't include the chorizo. 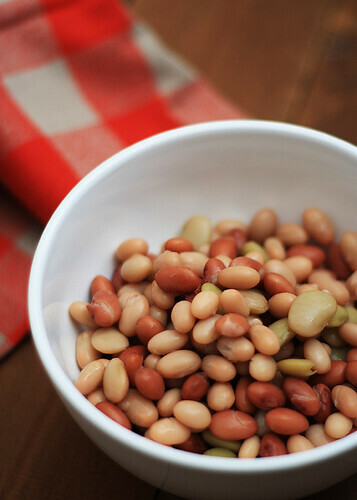 Need this Bean & Chorizzo soup lactose free? Simply serve it without the Parmesan and remember to always check the stock ingredients for your diet.